Naturally Cordial is made from whole fruit to a traditional recipe, then pasteurised. Based in Co. Wexford, we use local fruit from our neighbours and friends, along with organic citrus fruit, to make sure our cordials are bursting with flavour. Available in 10 different flavours, our award-winning cordials are not your run-of-the-mill squash. They’re 100% natural, with no artificial sweeteners, flavourings or enhancers. They’re made fresh in our kitchen, never from concentrate. All we add are three simple ingredients – water, sugar and a small quantity of citric acid. Naturally Cordial loves company. Share it with family and friends of all ages at social events and on special occasions. Our cordials are a great accompaniment or alternative to alcohol and when diluted with still or sparkling water, are an ever popular favourite with children. We love our product and we make it the best we can. We love experimenting with new flavours and seeing how customers respond. In essence, we love the way our cordials bring people together in a spirit of cordiality. 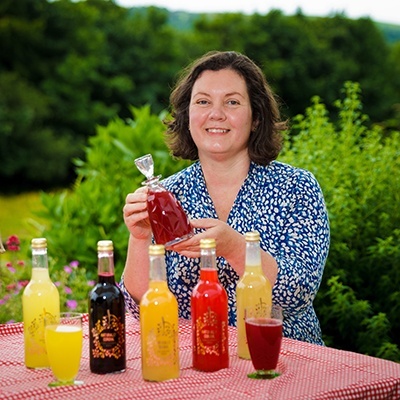 Made in Ireland, and made with passion, our whole fruit drinks are making the world more cordial.